Humans focus on their immediate surroundings and the very near future. We also tend to believe that things will always be the same and are surprised when they change without warning. We also like to procrastinate. In investing, time is on your side, but you must act immediately, and you must expect constant change. The solution to all three problems is planning. And in investment planning, the first thing to work out is where you want to get to. 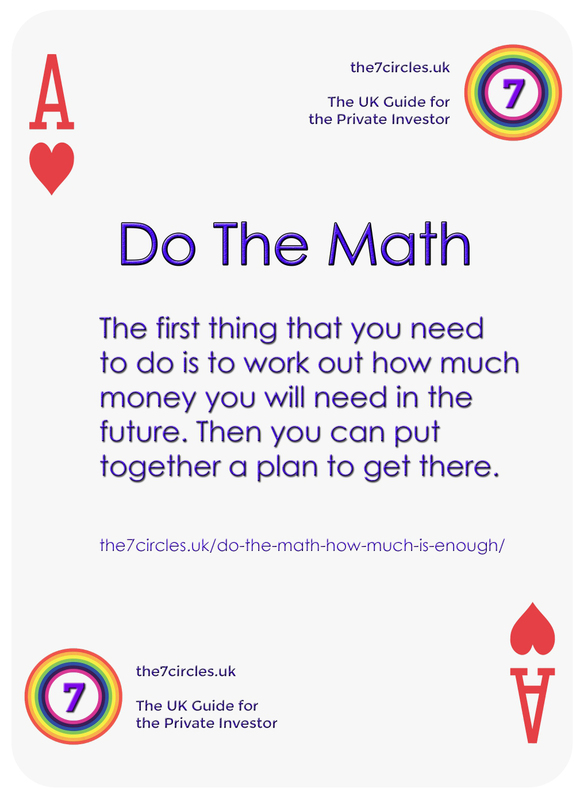 You need to work out how much money you will need in the future, so that you can put together a plan to get there. Investing is not an end, it’s a means. The money on its own won’t help, it has to translate into meaningful goals. 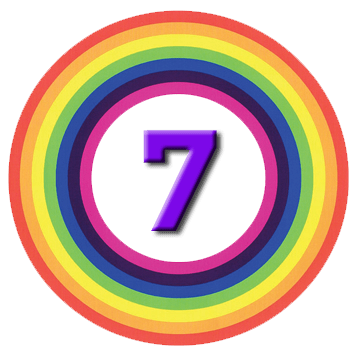 For 7 Circles, the ultimate goal is financial independence (FI) – a defined level of permanent income from a given retirement age. You may have set yourself an easier, or a more difficult goal. If you are confident you can live on less that £25K pa, it will make your investing journey easier. If you are determined to fund your children’s private school and then college education, or to leave a pot of money in your will, you will need more money. If we use a 4% withdrawal rate,1 the pot required is 25 times the income needed (1 divided by 4%). For 25K this is 625K and for 42K this is 1,050K (or 1.05 million). If you want to use a more conservative withdrawal rate (say 3.5%) you will need to save even more money. As well as the FI pot, our investors will need somewhere to live and an emergency cash fund. Property costs vary wildly across the UK, so for now I will use the nationwide average property value of £272K. If you want to live in London or the South East you will need to save a bit / a lot more. For emergency cash we need 6 months’ money, based on the required level of income (so £12.5K for the £25K pa investors, and £21K for the £42K pa investors). Note that the last two groups need the same amount of money, just at different ages. Now have a go at working out your own FI number. Do the math.